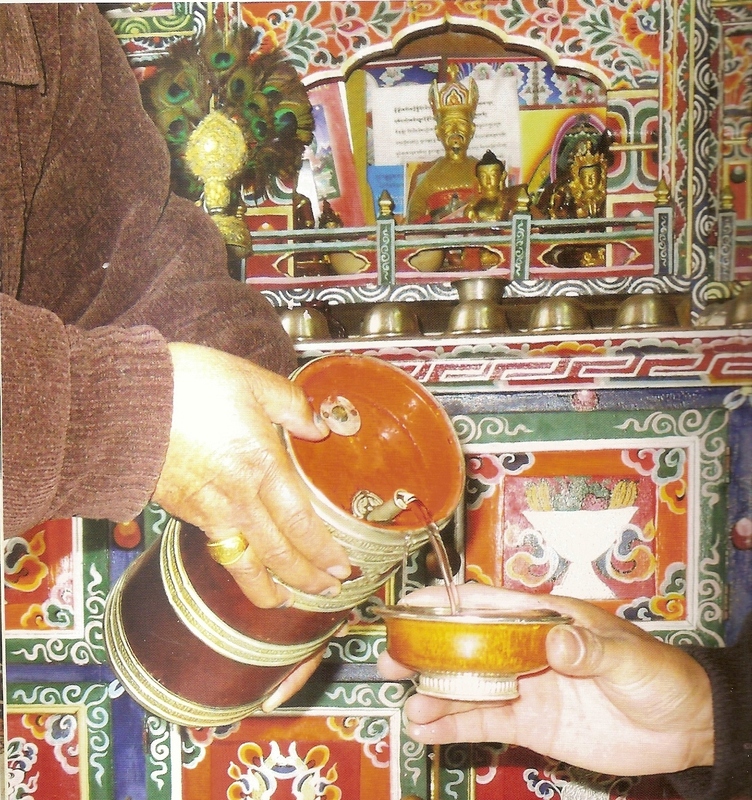 Tashi means auspicious and Delek means fine or well.It is quite difficult to translate properly into English, but: “Blessings and good luck” or “May all auspicious signs come to this environment” is a good proximity to the intention of this blessing, and so… I bless you all. Bhutan, not a place of food or wine But… who is the most Loved and revered saint of the land? 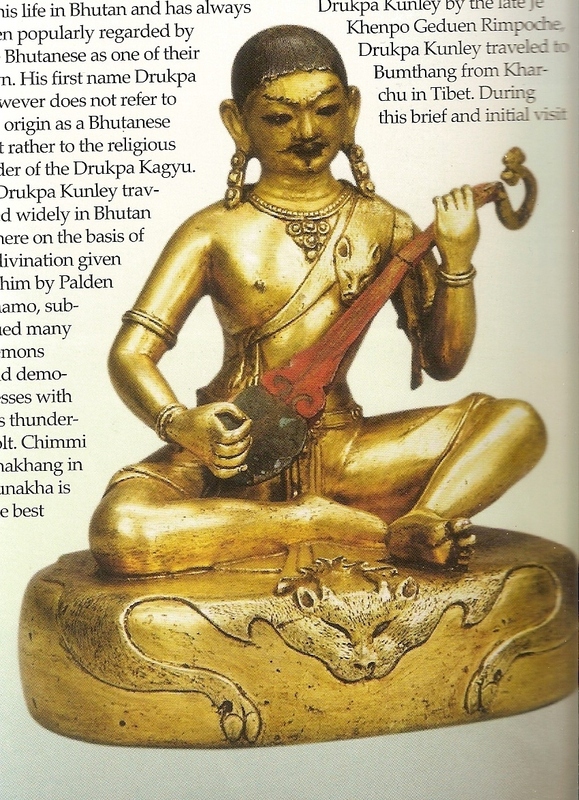 A guy who called himself “crazy dragon Kunga Legpa“, named Drukpa Kunley (1455-1529). 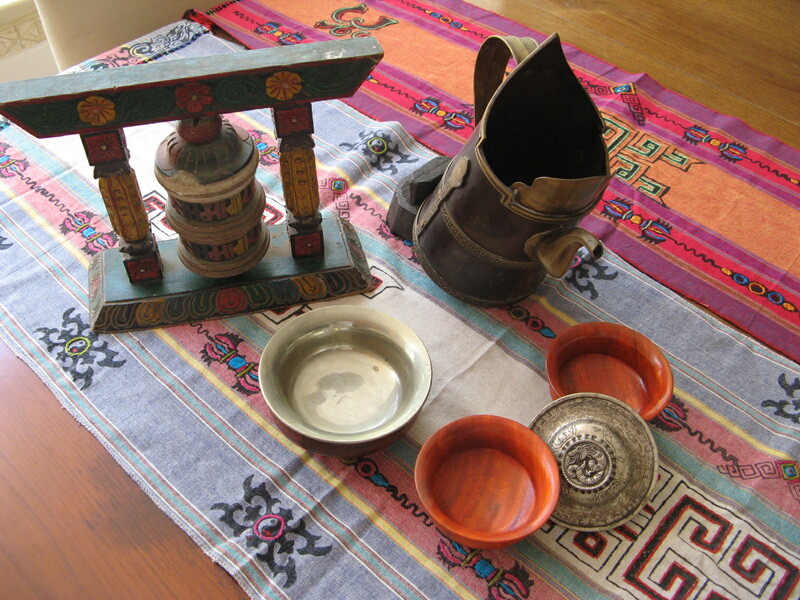 Drukpa refers to a person from Bhutan or of Bhutanese descent. Kunley is also known as the “crazy wise” or the Divine Madman, the crazy monk the drunken monk. Drukpa Kunley is the patron saint of Bhutan, belongs to the Drukpa (Dragon) school of Tibetan Buddhism. He is greatly loved by all the people of Bhutan and Tibet as an enlightened master and an exponent of ‘crazy wisdom’. He taught through outrageous behavior and humor in order to awaken the people he met to a higher awareness free from conventional morality and self-obsession. He took his female friends and disciples along the path of sexual desire and relationship to free them from attachment to the illusory world and to awaken their buddha-nature. He would constantly taunt the monks with jest and insult to dissolve their hypocrisy and hidden faults. 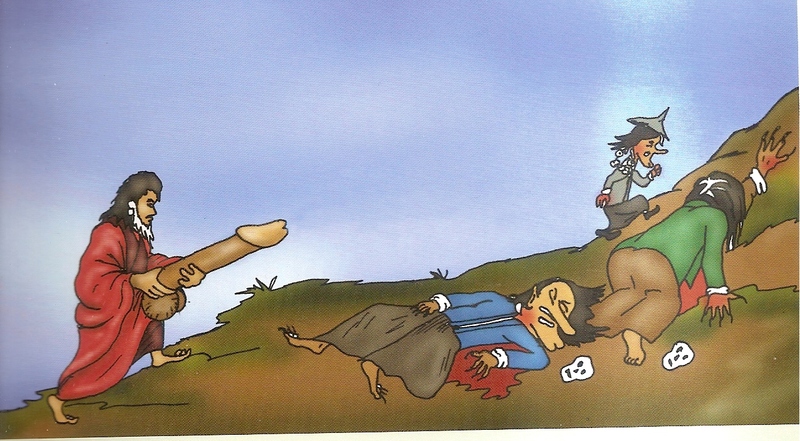 Drukpa Kunley who traveled throughout Bhutan is known to have subdued many demons of both sexes. Bhutan was full of demons who were “tamed” by Kunley with his thunder bolt (sometimes his phallus) to transfer people from the ” Dark side” of ignorance, to the side of “non dual insight of one taste” or in more simple words: The great liberation consists in being freed of the pairs of opposites (light and darkness, good and evil etc). Freed of duality-and finding instead the Non-dual One Taste that gives rise to both. This is liberation because we cease the impossible, painful dream of spending our entire lives trying to find an up without a down, an inside without an outside, a good without an evil, a pleasure without its inevitable pain, or which allows no duality between creator and created – all are reflections or manifestations of the one, which is not and cannot be an object of sense (one taste), which is the underlying reality or consciousness. Playing the Dramyen (a traditional lute)- MUSIC, reciting stories and songs Story Telling and POETRY were two important ways to convey his teachings to all aspects of society rich and poor, uneducated and scholars. Drinking wine was a means loosening up open to the seven stages of life: the seven original jokes, these make a “mockery” of the universe as a laughing matter, so that man will transcend it. When you have fulfilled the teaching of truth than you get the “joke” of human existence, your path must include the seven stages which are stages of laughter, each one must in turn become a great laugh to you. You must be able to feel total pleasure in the face of each stage of experience before you can go on to complete the next stage, it’s just like opening several great bottles of wine and if tasted in the right order and you are patient enough to get into the pleasure of the wine you can get on to the next great bottle that awaits you at the next stage. Too often have I participated in such events that missed their purpose because the “total pleasure” has not been reached by some pricks (who manage to ruin it also for the others), and this is not derogatory …it is served with compassion. made from white or red maple trees. 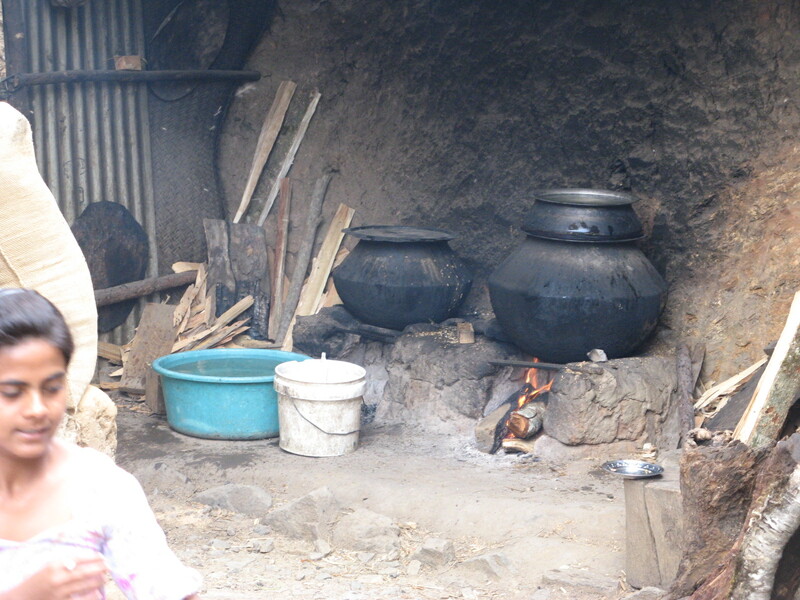 It is served on its own, or heated in milk butter or Yak cheese, with eggs or bone marrow, Yak dry meat and bone, fish and hornet with ginger and garlic (it stings!!!!!!). 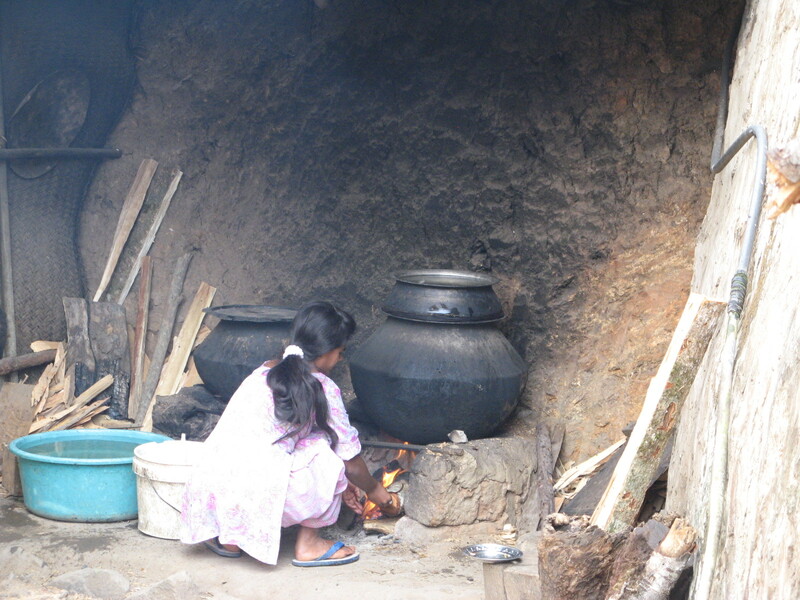 No local festival (and there are many) is celebrated without Ara , Bhutanese new year and other celebrations of private, family’ religious or secular nature all have one thing in common – ARA. Is that what keeps everybody in Bhutan happy?, they are all content, relaxed patient and polite. 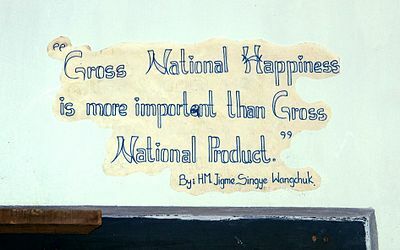 Probably because instead of measuring the wealth of the land in gross domestic or national product (GDP).a concept of gross national happiness or “GNH” (this is for real and it is a great idea coming to think of it). It was developed by the former King, in an attempt to define an indicator that measures quality of life or social progress in more holistic and psychological terms and live by it, really and I wonder if Ara contibuts to this nation’s fine, happy and dignified nature. I guess Ara alone cannot do the trick. I toast a cup of Ara and say to you khal-chang !